Kacie Komoto watches her ball flight. The senior struggled, along with the rest of the Cats, at the Windy City Collegiate Classic. GLENVIEW, Ill. — After a blazing start, Northwestern cratered to a seventh place finish in this year’s Windy City Collegiate Classic, failing to defend a share of its 2015 title. The Wildcats shot 7-under in the first round Monday to tie for the lead, but consecutive rounds at least six strokes over par left the team with a finish at 12 strokes over par. Junior Hannah Kim led NU, tying for the individual lead following the first round and sitting in a tie for second entering the final round. She struggled Tuesday, however, falling back to a tie for seventh after closing with a 5-over round to finish at 3-under for the tournament. but cooled a bit after. Komoto finished the second round 3-over, and Kim’s 2-under 70 in the second round was NU’s only under-par performance in either of the final two rounds. That lack of confidence was evident down the back nine Tuesday, when Kim shot 4-over to drop out of the top five. The rest of the squad, however, struggled throughout the tournament. Sophomore Stephanie Lau finished tied for 64th in the field of 78 after tying for 14th at last year’s event. Lau was not the only one who struggled, as fellow sophomore Janet Mao finished tied for 61st. A team’s lowest score from each round is dropped. But when multiple Cats struggled, the team’s standing dropped rapidly. 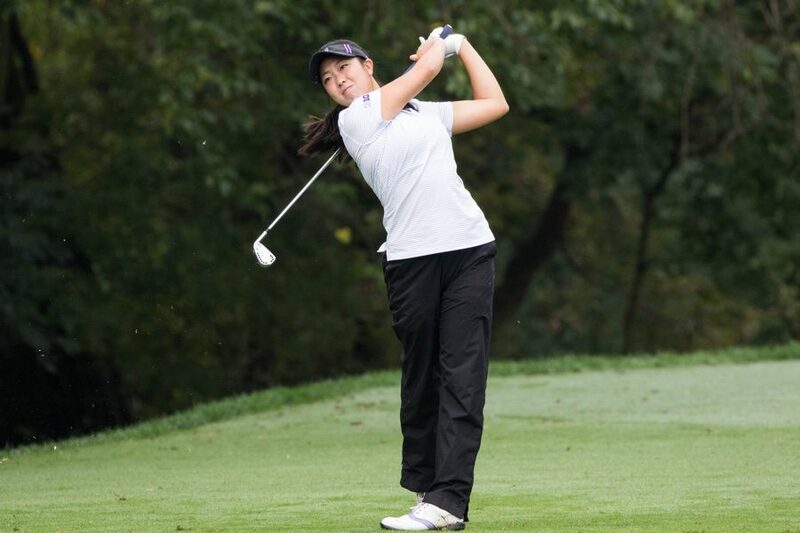 Junior Sarah Cho provided a consistency absent from the rest of the lineup, and she was the only Wildcat golfer not to post a round higher than 1-over. Because this was NU’s home tournament, five Cats participated as individuals, not counting toward the team score. Freshman Brooke Riley was the best finisher of the group, tying for 32nd at 5-over. Georgia, which tied with NU and Arizona for first in the tournament last year, defended its title. The Bulldogs finished 10-under as a team, 22 strokes ahead of NU and four strokes ahead of second place Stanford. The seventh place finish is not disastrous for NU, as the team dealt with eight of the top 11 teams in the country in this tournament.